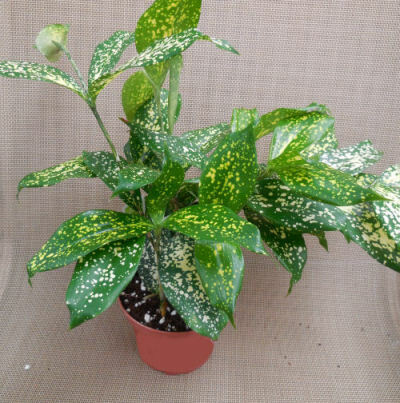 Dracaena plants are commonly used as indoor plants, especially for those that have limited light in their homes. There are about 40 varieties of shrubs and small trees in the family and they are known as rugged, low maintenance house plants. 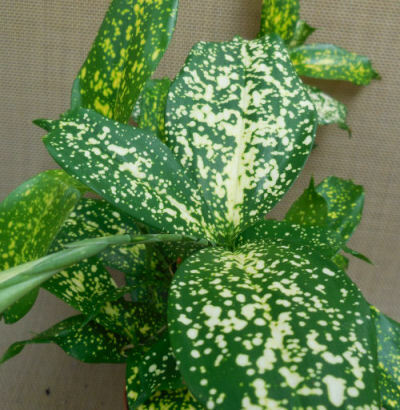 How to care for a Gold Dust Dracaena. Watering: 1-2 times a week, or when the soil is dry down to about the first knuckle. Don’t over water. Dracaena does not like wet feet. Water less in the winter months when the plant does not grow as much. Fertilize: Add fertilizer once a month when actively growing with an all purpose plant food. Flowering: Dracaenas almost never flower indoors. When grown as a perennial, you may get fragrant white flowers and red berries. Propagation: By rooting tip cuttings and also from stem cuttings of semi-mature stems. Temperature: Dracaena likes temperatures of 55-65 degrees F the best. It is not hardy outside where temps routinely fall below 55 degrees F.
Soil: Well drained soil is a must. Pruning: Generally not necessary. If your plant gets tall and spindly, cut it back to about 6″ in the spring and it will send out new shoots. Repotting: Do this in the spring if the plant is pot bound to allow for new growth. Would this be a good choice for outdoors in a high shade (mostly facing north) area in San Antonio, Texas? We live about 10 miles /SW of York, Pa. We live here since 1966. In about 1867-68 my husbands Grandmother gave us her Gold Dust plant she received in a dish garden about 10 yrs. before. We planted it on the East side of the house and there was a big arborita tree about 12 ft, from the house and already 3 stories tall. This year we cut the tree down and still have the Gold Dust plant at the same place. We may have trimmed it once or twice. It is about 5′ tall and about 5’around . It is really nice. Have not done anything else to it. We are going to give some plants that came up to our 3 daughters as a remembrance of our home. So our plant is at least 60 yrs. old and still nice. Dracaena likes temperatures of 55-65 degrees F the best. It is not hardy outside where temps routinely fall below 55 degrees F.
Someone forgot to tell mine that have been here since I moved here in 1984. I live in Roanoke, VA. I have trimmed them back at least once and they are now over 6’ y’all. It must have just the right spot. I have a spider plant (Normally a tropical plant that will not over winter and it comes back for me in one particular spot in my garden. The other places where I plant it won’t over winter. Nature is something else at times! 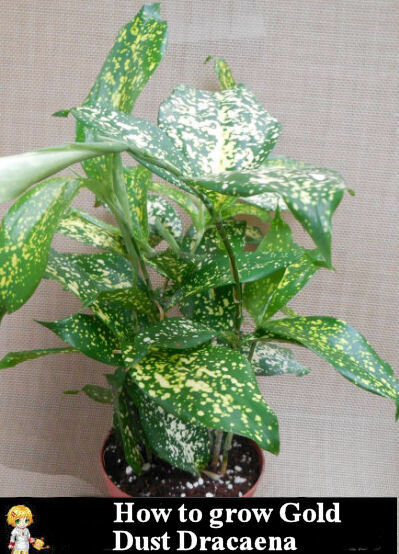 I have a gold dust dracaena that, as far as I know, has never been outside. I inherited it somehow, but I don’t remember when or from who. I am fortunate that we have horses and a pile of horse manure years old. I sprinkled some on to the soil — of all my plants! The are all really loving the nourishment but more importantly, I noticed the other evening, when I was watering, that the gold dust has buds beginning to flower! I was pretty excited when I saw them, but even moreso now when I read in the care instructions that they rarely flower indoors. Unfortunately, I don’t have any boy dracaenas so don’t expect berries! But one never knows, does one?? Hi Mary, Each store is different. I have seen them at my local Lowe’s and Home Depot. My experience has been that the winter months in those stores, I see a low supply but when the weather warms up, they seem to bring more plants in. It might be a bit early for your local stores to stock them. Hi Abby. Yes trim off the leaves. If they are brown and dry, it’s likely under watering. IF them are brown and soggy looking, it’s over watering.